This site is dedicated to the research of bigfoot, and it's habitat, in the Tahoe and outlying Sierra region of Nevada and California. We listen to witnesses who want to talk about their experiences, and keep them confidential unless otherwise requested. Our mission is to learn as much as we can about the possible existence of the sasquatch, in the hope that we can all gather a better knowledge of the species, then ultimately, we as a race understand that it's habitat, and way of life, must be protected. (Rob Muir, REUTERS)They wandered into camera range deep in the jungle of Cameroon's Kagwene Gorilla Sanctuary. The Cross River gorilla is the world's rarest. No more than 300 are believed to exist in the wild. The species has been decimated by habitat destruction, their range taken over by farms and natural resource exploitation. For the Wildlife Conservation Society, whose researchers installed the camera trap in February, the images were an unexpected but thrilling surprise. The troop appears healthy, although one of their number is missing a right hand, evidence, say the WCS, of the presence of snares within the family group's range in the past. The conservation group hopes its footage will draw global attention to the gorilla's vulnerability and spark efforts to help it survive. Notice their apprehension as they approach the camera trap. This is in a Gorilla sanctuary, where they are known to live. This is the first footage that has been taken of the Cross River Gorilla. See the parallels? It was back in 2008, after watching one of the first MonsterQuest “Sasquatch” episodes with my then, 8 years old son, we started researching sightings on the internet. It was then I realized that there have been numerous sightings, not far from where we live in Reno, Nevada. I hadn't realized before then that there was any sasquatch activity around Lake Tahoe, or the surrounding Sierras. 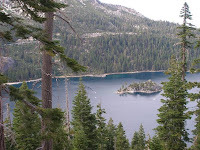 With this new found revelation, I became obsessed with anything and everything “bigfoot.” Already having a blog in currency trading, and after reading a few other bigfoot related blogs, I then decided to start blogging on bigfoot, with a focus on the eastern Sierra Nevadas. This began as a hobby, an activity to do with my son. Since, it's turned into a passion of mine. I've begun my own field research, and am now scouting areas along the California/Nevada border. I enjoy the outdoors, as an avid sport fisherman, and scuba diver, so I feel that I'm not too far out of my element, "squatching." 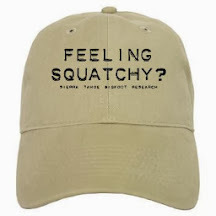 I enjoy talking bigfoot with anyone who's interested, and encourage everyone to get off the couch, and get out there to experience, and humbly respect, the squatch's domain.